Monday - We didn't have the greatest start to this tour - a rider broke his foot and needed to be picked up by an ambulance. At this point I don't know his condition. Other than that, the ride was pretty good. We were greeted by a light drizzle when we left the campus, but it stopped pretty quickly and the clouds cleared up by mid-day. Most of the ride was spent on a dedicated bike trail, so we didn't have to worry about traffic very much, which was great. 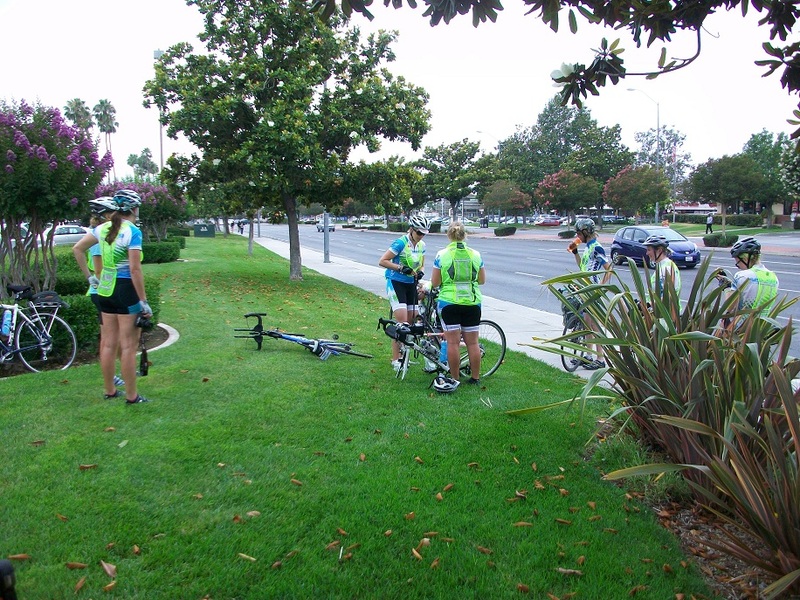 Here we are fixing our group's first flat.